Matt Tremain is a man on the run — authorities are broadcasting his picture all over, the police are hunting for him. Not a typical reaction to a tech/privacy blogger (this blogger would like that amount, not kind, of attention) — but that’s the impact that his stories about CleanSweep are possibly having. At the very least, he’s got a few very influential people paying attention, and that’s enough for the powers behind CleanSweep to want him quieted. Thankfully, he has some allies who have his back — both in Toronto, and around the world, so he’s able to escape the initial attempts to bring him in. Unsure who to trust, he’s living as off-of-the-grid as he possibly can (while maintaining his blog as much as he can — not easy). Still, this just emboldens him, as well as showing him that the clock is running, and he won’t be able to do anything to prevent this from becoming permanent soon. So Matt, a couple of allies in the press, one in law enforcement, and a few he hasn’t met yet, get busier at exposing what they believe to be a conspiracy devoted to stamping out undesirable elements in society. Toronto will be ground zero, but it won’t be long before this Conspiracy moves to other parts of the world, destroying privacy, civil liberties and lives along the way. Dystopia looms large in these pages, not one decades or centuries away, either; this is a 15-minutes into the future dystopia. I can’t talk much more about the plot — or most of the characters — without giving too much away. So I’ll just say there are a lot of well-drawn characters trying to do their best at work here. Without exception, everyone of Matt’s allies would be someone I’d like to have more of (not saying that we didn’t get sufficient time with them, just that they were interesting enough to have around more). And then there are (for wont of a different phrase) the bad guys. With one exception (Claussen’s security chief, Angela Vaughn), these are not well drawn, or that interesting — they’re evil, and that’s about it. Which makes it easier to root against them, but harder to get invested in them as characters. I’ve got a couple of minor quibbles, and one that’s pretty big. First, for people thus concerned with being spied on, Matt and his allies sure do use their smartphones a lot. Also, the timeline is sometimes too hard to track with, it’s unclear frequently when we’re getting a flashback — and how far back we’re flashing — or when we’re back to “the present.” Lastly, governmental agencies move a little too quickly at the end — probably the hardest part to believe. My biggest problem with the book was, to me, fairly significant, and ended up toning down my enthusiasm for recommending it. There’s a chapter (maybe two, but I’m pretty sure it was one) wherein Claussen meets with the men with the money and government clout needed to fully implement his plan. A lot of what is revealed about the plan, we readers knew and/or surmised from what had been hinted at, suggested, etc. before. But before it had been shown to us, here it was told to us. And not in a very interesting way — it was basically the part of a James Bond flick where the villain tells Bond his plan just before he leaves him to die (which, of course, he doesn’t). This time there were no Bonds around, just the people who’d enable the villain’s plan. The evil was as plain as day here, and told in the kind of detail no one needed — the only thing missing from this were the conspirators twirling their mustaches. Seriously, you take out this chapter (or edit it a lot), and this book would’ve got a higher rating from me. Add a little more gray to this, tone down the villains just a shade, and you’ve got yourself a knock out. As it is, it’s a pretty good read — and a chilling reminder of what could be around the corner. The tech feels real, the police state imposed doesn’t sound that far-fetched, the aims of the conspirators carry the feel of legitimacy. This rings entirely of something that could’ve been ripped from the headlines — but thankfully wasn’t (I think). You will keep turning pages, wanting to know what happens to Matt and the rest — you’ll appreciate some small flashes of humanity and the courage that resides in unlikely places. Give this one a shot. Not only will you probably enjoy this, but like me, you’ll want to get your hands on more by Waldron. Disclaimer: This book was provided to me by the author in exchange for my honest thoughts. For part two of The CleanSweep Conspiracy tour, I got Chuck Waldron to A some Qs. Why Canada? Is it because the U. S. would be the obvious and/or easy choice? Or is there something else going on? Who would expect something like The CleanSweep Conspiracy can take place in a city known as “Toronto the Good?” After all, Toronto is part of a nation known and respected for civility, peace, and good government. The story is completely a figment of my imagination. I could have used many places, but chose to keep it in Toronto. The setting in the original manuscript was a North American fictitious city. 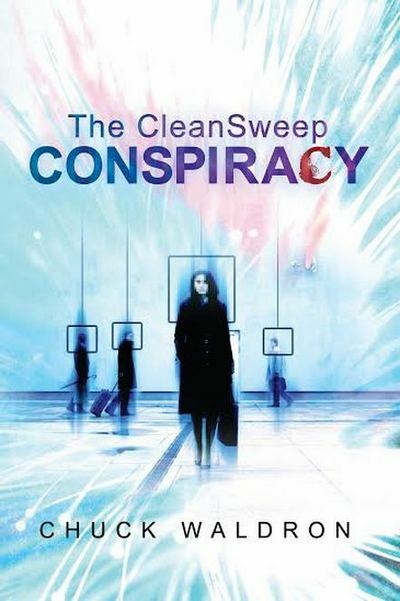 Since the inspiration for The CleanSweep Conspiracy was an event that took place in Toronto in 2010, I decided to rewrite my novel and let Toronto be the location. I hope there are checks and balances in both Canada and the United States that will prevent something like this from ever happening. That said, I do believe there is an undercurrent in our society that keeps the thought of something like The CleanSweep Conspiracy a possibility. Clifford’s line: “Techies like you never think past high-tech solutions,” sounds like an oft-repeated aphorism. Is Clifford your cameo? If not, is there a Chuck Waldron-like character in this book? Clifford my cameo? Maybe. According to research I’ve read, I’m of an age that should make me technologically phobic. Instead, I seem to embrace each new gadget, app, or program. At least I like to kick the tires. It may be an oft-repeated aphorism as you say, but as much as I like technology, I sometimes fear we give up part of our humanness when we reach for the high-tech cloud-world. Part of Clifford’s role in the story was to really know Mattie. 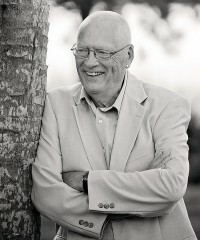 He was the link between her and Matt Tremain. If Clifford is my cameo, I thank him for the honor. How much of the plot (especially the conspiracy) did you have worked out before starting, and how much did you figure out mid-stream? Is this the way you normally go about things? I lived with the idea for over two years before I started to think of an outline. I’m not sure where the conspiracy part came into it. I don’t jump on conspiracy theories like the FEMA trailers that will be turned into concentration camps. I don’t waste a lot of time thinking about Area 51. My novel was simply a what-if idea that started to take shape as a story. Writers talk about writing by plot or by the seat-of-the-pants. I usually have a rough outline, but I tend to be the latter. I like to let my characters dictate their story as I go along. For me, if a character isn’t well developed it’s hard to carry a storyline. I was a history major in college. Lawrence E. Gelfand, my professor, is an influence. Ironically he died the same year (2010) as the event that inspired my novel. I tip my hat to the memory of Henrietta Blake, my first writing teacher. She gave me permission to write and assured me I didn’t need a license to be a writer. 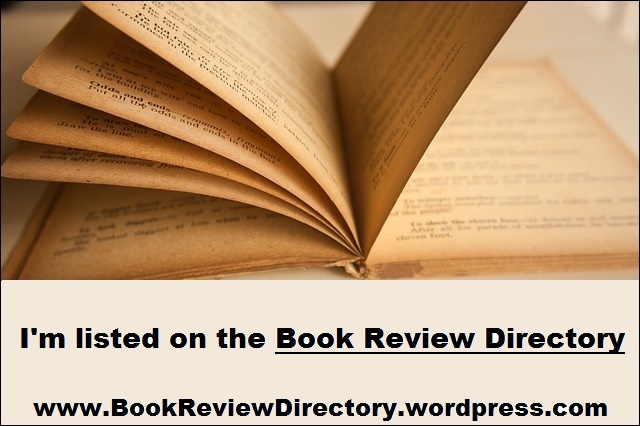 Writers that have inspired me include Hemingway, John Le Carre, James Lee Burke, William Manchester and much, much more. Like most writers, I’m an avid reader. What’s next for you? 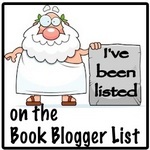 I’m assuming your next book is well underway, what can you tell us? Two, actually. I’ve never tried it, but I’m working on two storylines that I can’t seem to let go. I like Matt Tremain, the protagonist in The CleanSweep Conspiracy. He just might hang around for another story. On a recent visit to Cuba, I couldn’t avoid thinking about Hemingway and the downward spiral at the end of his life. We all know he committed suicide in Idaho. But what if there is an alternative ending? 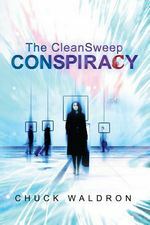 Welcome to our Book Tour stop for The CleanSweep Conspiracy. Along with this blurb about the book and author I’ve got a Q & A with the author, Chuck Waldron, and my 2¢ about the book. Matt Tremain publishes Verité, a modest blog dedicated to writing about the truth and exposing scams. When he follows up on rumors concerning something called CleanSweep, a mysterious project in Toronto, Canada, Matt needs to decide if he’s going to take a stand and reveal the truth.